Today theoryofsomething.com is sending out a press release. Let’s see if it reaches the right public and scientific community. I made a Summaryof the ToS that is lot lighter and quicker to read and grasp, and also lists the support and proofs of the ToS. 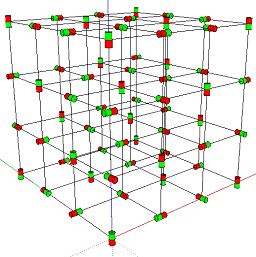 The strongest proof that there is something out there - the negtrino in the Grid - something important spaced 10.15 picometer apart, was a big surprise to me find out. I was doing some cosmological calculations, and suddenly, I saw the number of Planck’s constant showing up, 1.0545x10-34!? Where did that come from? But the units were all wrong – not the Js that it should be. What has surprised me most when developing the ToS over the last 9 months, is not that I get away with one particle and one force and that it is all electricity. The mass being outside an object instead of inside the object is of course very surprising, but most surprising is that when discovering the smallest at the very bottom level, I could actually understand things and physical laws that I never thought was possible to get a clear picture of. I don't understand the jargon in this theory but I do understand that if it is correct the ramifications will be astounding, to say the least. I'd like to hear what others who understand the technical aspects of this theory have to say about it. I agree and will welcome that. I would be very interested if you could please calculate the mass threshold at which a black hole creates a new universe. Also what happens to original black hole and surrounding space? And does any of this predict the universe to continue to expand or contract at some point? Thank you! The Negtrino force – Strong it is. I’m not clever enough to calculate how large black hole from a positive universe it takes to enter a negative universe to make it active, i.e. to fill it with enough dark energy for a long enough period so galaxies have time to form. But I think someone will solve how to calculate that. Only a black hole in a galaxy can cross the potential horizon between a positive and negative universe. This can be seen as part of the sorting process at a potential horizon (see ToS 7.1.2). The ordinary matter in the galaxy will be crushed and beamed back into the universe it came from, while the black hole(s) will cross the potential horizon and release their charge in the universe of the same polarity (becoming matter instead of antimatter). It will Bang (Big or Small) on both sides of the entry point, but only in the universe where the black hole entered into will there be an over-pressure – dark energy that can seed an active universe (that forms galaxies). The universe where the black hole came from will be left with its gravity field – an under-pressure – a dull place lacking energy. Please note that ordinary black holes in our universe do not create universes on the other side of their potential horizon (the event horizon). That is just an unpleasant very dense place of antimatter. The future of our universe for example: The space with over-pressure that we experience as our universe will continue to expand and the dark energy will be more and more diluted over the billions of years to come, until it reaches the pressure equilibrium of the Grid. That will be a dull dark place, where light has no energy since Planck’s constant has faded away (see ToS 6.1)! However, there is good chance the expanding space is reaching the potential horizon of our negative universe, whereby the future expansion or compression is unknown – That will depend on the pressure in the surrounding universe. Q: Detect the Negtrino in the LHC? I think a good approach is to again review the “particle zoo data from the 60’s” and see if a ToS model instead of the complicated Standard Model is better to explain things. Q: the spooky quantum entanglement. The proposed mechanism can transfer quantum state information immediate – faster than light – and work over long distances, without violating the laws of physics (electromagnetism)." How does this mechanism work? Do the Negtrinos exist in a different dimension than ours? Free of spacetime? Does this mean that information can travel faster than light? If so, wouldn't that mean that time travel and teleportation would be possible? 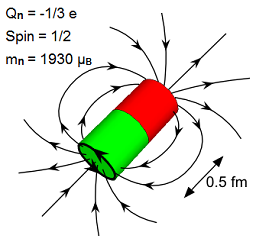 The underlying mechanism of entanglement I outline in Figure 25 (ToS 3.4) is a “one-dimensional magnetic chain over long distances that can connect entangled pairs of particles”. The Grid seems to allow such aligned chains of Negtrinos spaced 10 pm apart. The transfer of information is via twisting such chain. 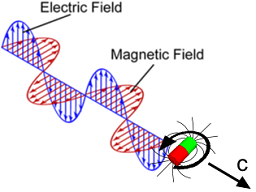 Electromagnetism does not allow charges to move faster than light, but here each Negtrino just twists and that information is transferred over the chain without delay – No additional dimension required! And yes, information actually travels faster than light between entangled particles – just as found in the quantum experiments. Q: Do the Negtrinos behave randomly as well? 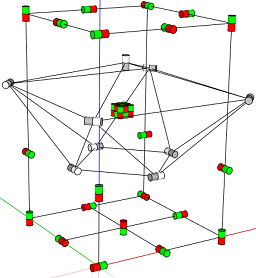 … Also, why do quantum particles appear to go into random states, when according to your Negtrino theory, these particles should behave in a certain way depending on how many Negtrinos are clumped together. Do the Negtrinos behave randomly as well? If you look at reality as frequencies/waves (which often is useful), instead from a continuous time perspective, you get the uncertainty principle – You cannot know the position if you are just watching a short time. That applies also to Negtrinos of course, but in my opinion, it is going too far to interpret that “perspective or measurement limitation” as not knowing whether Schrödinger’s cat is dead or alive. In the ToS, I am looking from a time perspective (not using wave functions, Hilbert space and Hamiltonians) so the reality is easier described. But maybe that kind of math applied on a ToS reality can bring further insight in some areas – I’m not skilled enough to see how far it would be applicable to describe the mechanisms gravity and mass – QM may be too much particle oriented. Q: Also. this theory doesn't explain how all of the Negtrinos were created in the first place. It actually does propose that – not only in section 9 “The Creation”, but also in Section 8 (of the full ToS document). There are some hunches and intuition in there, rather than solid proofs (hope more skilled will help out), so that part is not stressed in the introduction. In short, the answer of creation is: There is no Nothing – Nothing is unstable. If there is total emptiness somewhere in space, pairs of Negtrinos/Postrinos immediately appear out of Nothing and are being sorted in separate universes of equal charge (ToS 7.1.2). When arranged in the Grid, there is no energy required – that is why it can happen. 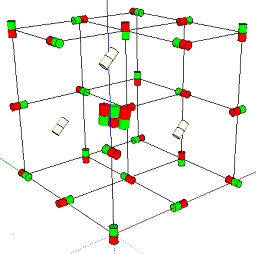 And the Negtrino can only exist in the Grid or in composed particles. I think that is what the proposed “equation of Everything” in section 1 of the ToS summary or Section 8.2.1 of the full ToS specifies. I did not invent it – it is the equation for force between moving point charges (derived from Maxwell’s equations). I just “added three small circles” to generalize it – to apply even if the Grid (or aether if you like) not is in its equilibrium. But what is even more amazing – not proved yet, but could be – is that “the equation of Everything” seem to describe the Negtrino itself, see 8.2.2! That would mean the origin of everything is analog – not quantum at the very bottom level… So if you think the rest of the ToS is radical – what about that thought? Q: Also how many universes do you predict there are? I’m not God! One ends up in the old question, what is there if it is not a universe? 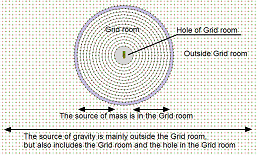 The ToS helps a bit by stating that there is no emptiness, Nothing is always filled with Something – the Grid. My best answer is infinite – but that is not easy to grasp either. Q: Also, why did you decide to call this theory the Theory of Something and not a theory with a catchier name like the Theory of Fundamentally Everything? I put in a request for Brian Greene to translate this theory so laypersons such as myself can understand it!